Move over, Apple Watch: even though Cupertino’s long anticipated smartwatch has yet to launch, a brand new device from a team which includes former Apple engineers is here to pose some serious competition. 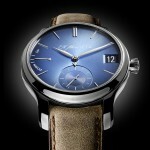 Called “Olio Model One,” the new timepiece promises users a luxurious, limited edition smartwatch made from top-of-the-line materials, and featuring craftsmanship “typically found in high-end Swiss watches.” It was unveiled today, and the first batch of 500 Olio watches is available now to preorder online. What’s more, we understand that the wrist is a very personal, intimate space, and anything you do there needs to have a purpose. In order to achieve this, Olio displays notifications in “a simple and intuitive time-based format” – earlier, and later. In the earlier stream, missed notifications are available for users to view and read through; in the later stream, users can check on information “necessary to plan the rest of your day,” the press release explains. You can navigate through Olio’s various streams using a simple, touch-based swipe interface. The smartwatch also promises to learn users’ habits, too, in order to provide a more individualized experience for owners of the watch. Dynamic Visualizations: Olio’s interface maps the busiest parts your day, making personal bandwidth glanceable, while simultaneously creating a dynamic watchface that is unique you. Temporal Streams: Access the right information at the right time, with notifications and information organized into two simple and intuitive time streams—earlier and later. Olio Assist: A cloud-based personal assistant that contextualizes and understands your personal preferences to offer insightful and actionable suggestions. Intelligent Actions: You can dismiss or respond to content with a simple swipe, and even have Olio Assist hold your calls/texts and remind you to respond at a later time. services like payments, directions and music without searching or wrestling for your phone. True Cross Platform Compatibility: Olio is an independent brand and offers freedom to connect with both Android and Apple phones, as well as a wide range of connected hardware products. Though I’m not hugely keen on the design of Olio (it reminds me a lot of the ill-fated Cuckoo watch, especially with that chunky, circular face), the good news is that Olio is available in two varieties. 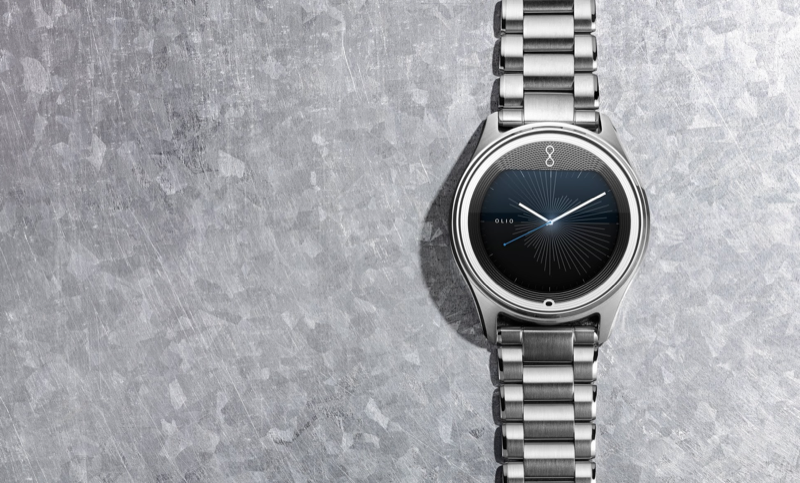 First, Olio Steel (which features a polished, stainless steel design) retails for $595. Second, Olio Black (pictured below) is available for the slightly higher price of $745. Each watch is available with a matching link bracelet, though Italian leather straps are available, too. 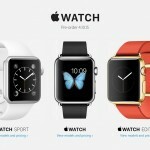 Of course, for the same price you could pick up a smartwatch from the Apple Watch collection. 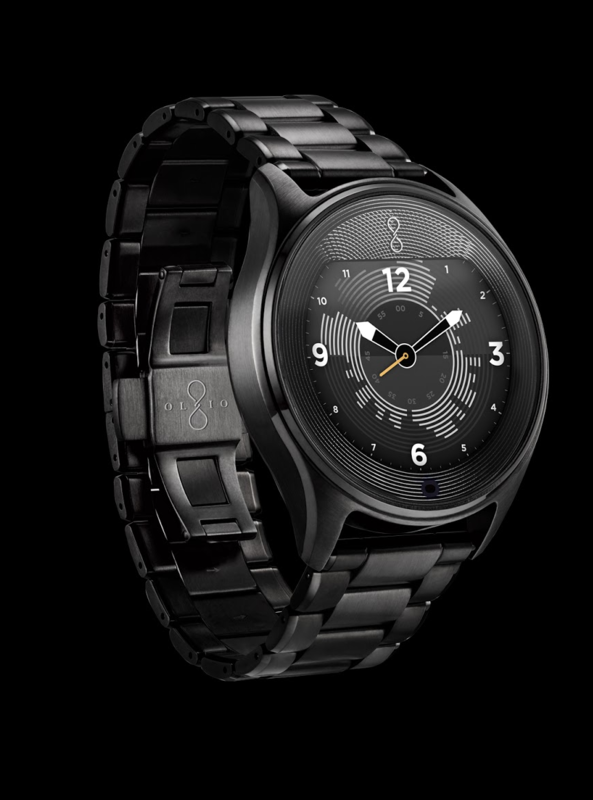 For more information on the smartwatch, including the option of preordering an Olio, visit the watch’s website. Olio will ship throughout the United States only, and the first units are expected to be delivered this summer. See also: Today’s apps gone free: Polyform, My Story, Lochfoot and more, Twitter enters video broadcasting with rebranded Periscope app, and In a game changer, Amazon now offers unlimited data storage for just $60 per year.